A HANDCRAFTED fire pit and nine tables custom-made for a country pub are missing from the Inn Mahogany Creek. Venue manager Bonny Napolitano said about $5000 of outdoor furniture had ‘disappeared’ in raids on the garden off the Great Eastern Highway. 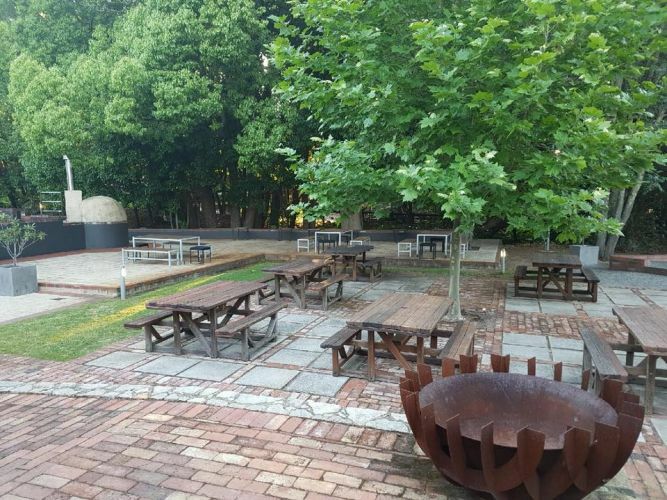 “Everything taken was pretty expensive, it’s quite a unique venue here and the fire pit was made by friends of the owners,” he said. The steel pit was last seen on Friday night and the tables were taken about 10 days earlier. Mr Napolitano, who has managed the pub for the past seven years, said more surveillance cameras would be installed around the property. “It’s a small community up here, it’s really very frustrating this has happened,” he said.